The SM3 is a suspension shock mount with camera shoe adaptor for mounting various RODE microphones onto a camera via the standard hot/cold shoe mount. 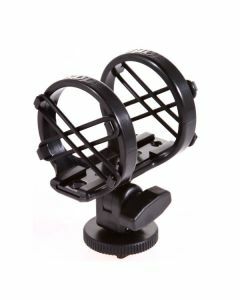 This allows you to connect your RODE Microphone to a number of video and DSLR cameras on the market while giving your camera maximum isolation from any handling vibrations. Please note that an adaptor may be required for some cameras with proprietary mounts.